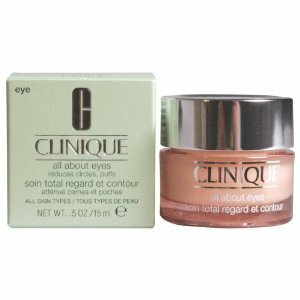 Clinique All About Eyes is a lightweight cream/gel that is designed to reduce fine lines, puffiness and dark circles. This cream is to be used morning and evening daily. Apparently it should also help makeup around the eyes last longer, as it acts a little like a foundation primer. Clinique don't go into much detail about this cream/gel, it just says what it does, but not how it actually does it. There is no scientific explanation, or nothing! Cyclomethicone polysilicone-11, purified water, isostearyl palmitate, polyethylene, butylene glycol, cyclomethicone, ethylene/acrylic acid copolymer, saxifraga sarmentosa extract, grape extract, shey protein, mulberry root extract, caffeine, phytosphingosine, wheat sphingolipids, scutellaria baiccalensis extract, green olive extract, green tea extract, cholesterol, linoleic acid, tocopheryl acetate, magnesium ascorbyl phosphate, pyridoxine diplamitate, sucrose, glyceryl laurate, lactose, dimethicone xopolyol, quaternium-18 bentonite, petrolatum, cetyl dimethicone copolyol, propylene carbonate, sodium chloride, disodium edta, iron oxides. When using eye creams put a small amount on finger tips and gently tap around, from the inner corner of the eye around to just underneath the eye brow. Using this gentle moment stops pulling on the skin, hopefully preventing the appearance of fine lines. Most users really like this eye cream because it is moisturizing and reduced their dark circles. However, there are a few people who think it is expensive for $28.50 (0.5 oz), they would prefer a eye cream that contains an SPF. This eye cream could be worth a try as most users found it to be effective. Clinique Quick Corrector is a concealer is designed to give a natural medium coverage to any imperfections. What sets this apart from other concealers is that it is a liquid formula and comes in a lip gloss like vial with a sponge tip applicator. As it is a liquid it should make it easier to blend and make it less likely to crease, unlike some of the cream concealers. I think Clinique is a reasonably good brand, although from personal experience I wouldn't go singing its praises. I have only tried a couple of products but didn't work for me. It can be a little over priced, but I know Clinique works for a lot of people who won't use anything else. I cannot find a complete list of ingredients for this product. 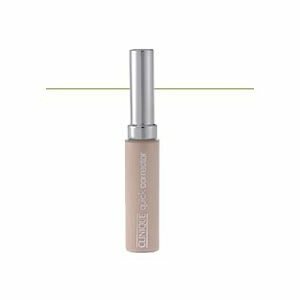 According to most users this liquid concealer covers blemishes, blends well and is quick and easy to use. A lot of ladies like to keep this in their handbag for quick touch ups while they're out and about. A few users complained that it is too orangey for their skin tone. It is hard to pick a concealer that matches your skin tone because a lot of the products out their seem to have a yellow/orange undertone, which is not suited for people who have a more pinkish undertone. A porcelain colored concealer is usually better suited for people with a pink undertone. The price is very acceptable at $14, making this concealer one of the cheapest ones I have reviewed so far! 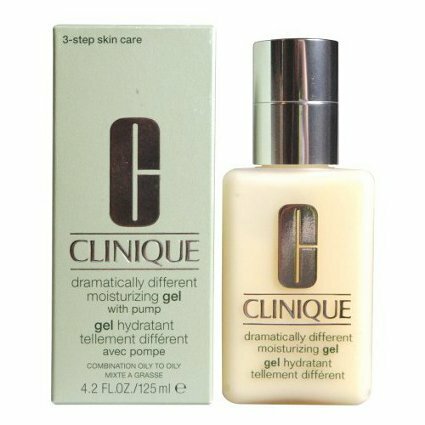 Clinique Dramatically Different Moisturizing Gel is a lightweight daily facial moisturizer. Amazon customers have praised the moisturizer for being an excellent gel to control those unsightly breakouts we all hate. Clinique has labeled it for use on all skin types but everyone's skin is different. Some users with dry skin said that it wasn't moisturizing enough for them and in some cases dried their skin out. It does contain alcohol which can cause a drying affect. This moisturizing gel is oil free, that's one reason why it is a good choice for skin prone to break-outs. More oil will just block pores and encourage pimples and black heads. Some of you will be glad to hear that it is fragrance free. It also has a delightful pump dispenser which stops the build up of bacteria. The down side is that Clinique has not added an SPF to this gel, so it won't provide any sun protection. Several users have said that the gel is light, non-sticky and absorbs quickly, that's good because I hate it when you have that sticky feeling after applying moisturizer. Also a little goes a long way so gentle pumping ladies! This product contains a lot of synthetic chemical ingredients, so not ideal for those who are eco-friendly or drawn towards natural products. It comes in at a very reasonable $14.50-$28 (1.7oz/4.2oz) a pop, so it won't break the bank. You are currently browsing the archives for the Clinique category.